The city is easily reachable by any means of transportation. The fast local, national and international services are free of charge and guarantee a good supply system. - Stazione Centrale di piazza Garibaldi, to the East of the city; the port is reachable by taxi, bus or tram from the adjoining square, the bus departures to the port occur every 10 minutes, while for tram every 15 minutes. Info: tel 89.20.21 operating throughout Italy from any fixed-line telephone and without prefix(Freefone 800639525). Bus times and routes on the Island of Ischia and in Naples. 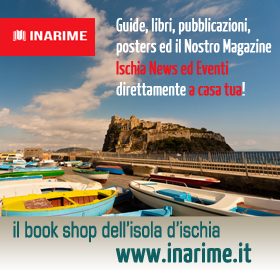 The Editing of Ischia.it is not responsible for any changes or suspension of routes. The new spring timetable - 2019 is online, it's effective from april 10, 2019.